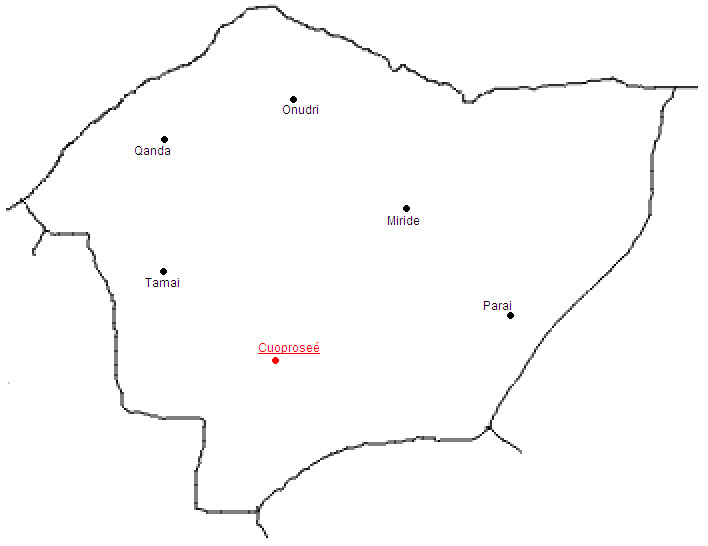 Erd is a state in the North of Caprala. It borders Trukva and Shakka in the West, Moun in the South and Kenisse in the East. It also borders the Alaema Ocean in the North. The Northern part of Erd, which lies in the subarctic part of Caprala, is mostly tundra and coniferous forests whereas the Southern part lies in the temperate zone and is warmer than the Northern part. The state is governed under a parliamentary system.